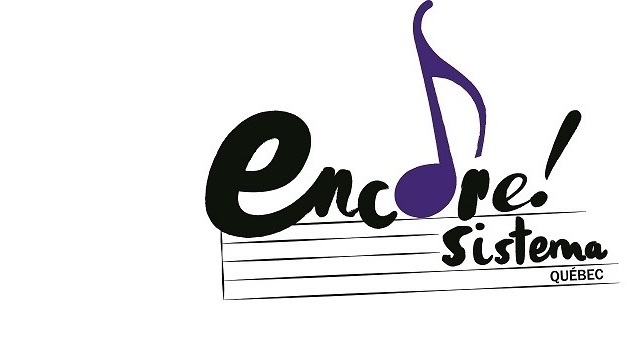 March 2018 — We finished the month with two exciting concerts that brought together Encore!Sistema students, Métis multidisciplinary artist Moe Clark, and the Orchestre Nouvelle Génération. These concerts were the culmination of several months of hard work on the part of ESQ students and teachers, and followed on a week of interactive workshops with Moe Clark at three ESQ sites. The first concert, at Kahnawake Survival School, featured the students from our Kahnawake elementary and high school sites. The second concert, at St. Gabriel Church, featured the students from our St. Gabriel School site. 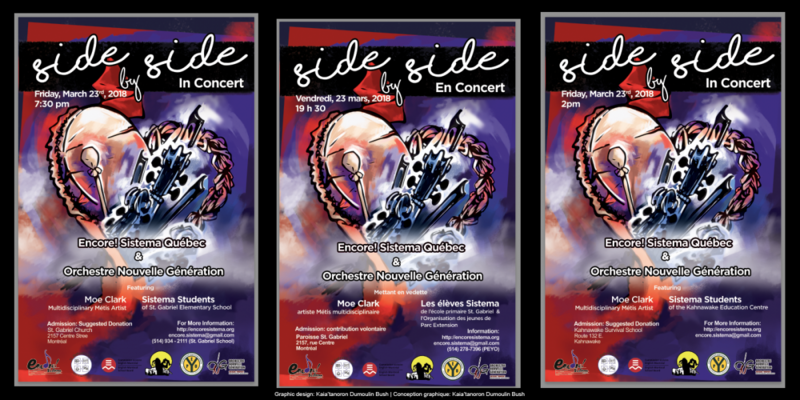 These “Side by Side” concerts featured a number of unique musical collaborations. At both concerts, Moe Clark invited the Encore!Sistema elementary students to join her for a song she had taught in her workshop earlier that week. At Kahnawake, she performed the classic “Lean On Me” with student performers from ESQ’s band program at Kahnawake Survival School. Moe Clark and the Orchestre Nouvelle Génération joined forces on Clark’s “niki pawatin,” written in the Plains Cree language, and both concerts culminated in an energetic rendition of Bernstein’s “Mambo” from “West Side Story” featuring the Orchestre Nouvelle Génération with ESQ students. The Encore!Sistema students had their own moments to shine, too. At St. Gabriel Church, the students performed an arrangement of Mozart’s Symphony No. 40. At Kahnawake, the high school students performed Herbie Hancock’s “Chameleon” and the elementary school students performed the traditional fiddle tune “Soldier’s Joy” and “Allegro” by Shinichi Suzuki.